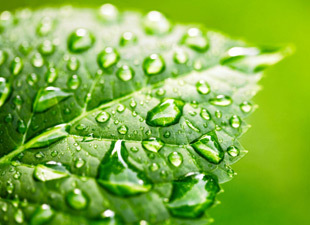 Buckle believes in the overall care and condition of our environment. From the materials used in the construction of our stores, to the fabrication, supplies, and resources utilized in the creation of our merchandise and the brands we partner with, Buckle makes a conscious effort to explore environmentally-friendly processes throughout our entire business. To continue our efforts in protecting the environment, we’ve formed a Green Team Committee at Buckle. This is a Buckle teammate volunteer group with a mission dedicated to raising awareness of environmental issues and encouraging positive action while at work, at home, and throughout our communities by creating educational opportunities for our teammates. Buckle encourages teammates to recycle by making various paper, plastic, and cardboard recycling stations available throughout our corporate offices. Recently, Buckle implemented paperless payroll pay stubs and W2 forms to abide with our ‘green’ initiatives. Hurley created H2O outreach efforts, raising public awareness around environmental issues. Through Hurley’s Helping Other People Everywhere (HOPE) promotion, Buckle partnered with Hurley and Brandon Boyd to donate nearly $30,000 to this energy-conscious non-profit through the sale of water bottles, men’s t-shirts and women’s tanks, specifically created for this campaign. Big Star utilizes Ozone Technology, a wash process that significantly reduces the company's water consumption, use of chemicals and dirty energy. Big Star's use of this environmentally friendly process is helping to save the planet one pair of jeans at a time. Miss Me is active with 1% For the Planet and dedicates financial support to creating a healthy planet. Through this organization, Miss Me reaches various groups including, Global Green grants, Friends of the LA River (FLOAR), Keep Los Angeles Beautiful, UNICEF and The American Red Cross. Obey is active with The Surfrider Foundation, an organization dedicated to the protection and enjoyment of the world’s oceans, waves, and beaches through conservation, activism, research and education. Billabong has developed a range of eco-friendly garments. Boardshorts labeled with “Recycler Series” are made of recycled plastic bottles and select t-shirts are made using recycled and organic goods, supporting environmentally safe products. This means less pollution, as well as superior quality, function, and performance of Billabong products.